Join us for a spectacular fireworks display at dusk over the Wisconsin River near Pauquette Park to celebrate Independence Day. 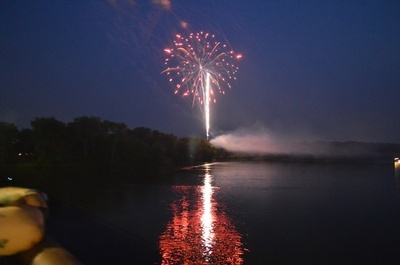 View the fireworks along the river on Conant Street, just west of the park or along the Wisconsin River Levee. Fireworks will begin at dusk, which is about 9:30PM. Portage Chamber of Commerce at 742-6242.